Sumavision has always been committed to common development with operators and focus on providing the best video and broadband solutions to customers. Now Sumavision is a leading global video and broadband solutions provider. Sumavision’s products have entered 110 countries and regions worldwide including the United States, Russia, France, Canada, Brazil, India, the Philippines, Tanzania.etc to serving 800 million people in the world. The customer in Southeast Asia is a premier provider of user-focused information and communication and broadcast service. The customer offers services in networking infrastructure, integration of multi-platform computing environments, facilities management and broadband implementation. As one of the most dynamic and innovative company in the country, the customer has played a significant and pioneering role in connecting the nation through their network infrastructure and broadcast services. 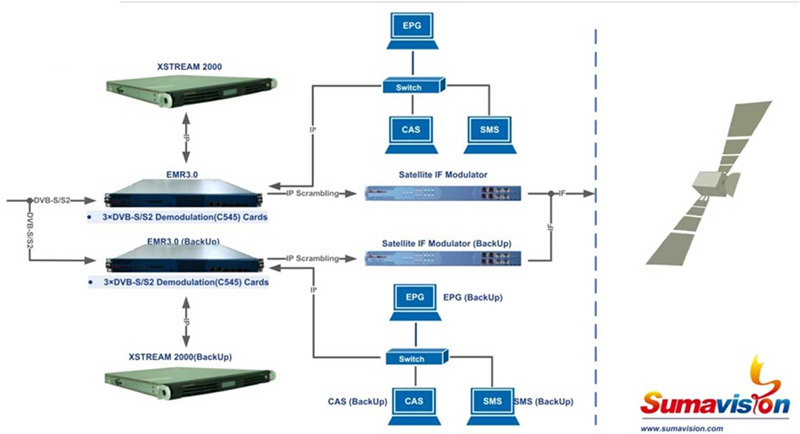 Inthisproject, Sumavision providedtotal DVB-C headendsolution which includes HD/SD Encoder, Multiplexer & Scrambler,IPQAM, Multiviewer System, and software system including Conditional Access System, Subscriber Management System, etc. The customer is a mobile satellite TV broadcaster registered in Dubai Studio city. The customer is specialized in satellite mobile audiovisual broadcasting, a TV broadcasting service which is accessible while on the move, in remote area and in stationary status. Through the years, the customer has been innovating telecommunications technologies and dedicating to providing users with the best service experience. Till now, the users of the customer has spread across MENA region, including KSA, UAE, Kuwait, Qatar, Bahrain, Oman, Iraq, etc. The customer has provided unique mobile audiovisual TV broadcasting service which can be received by a CD-sized antenna, without being required to point precisely at the satellite. 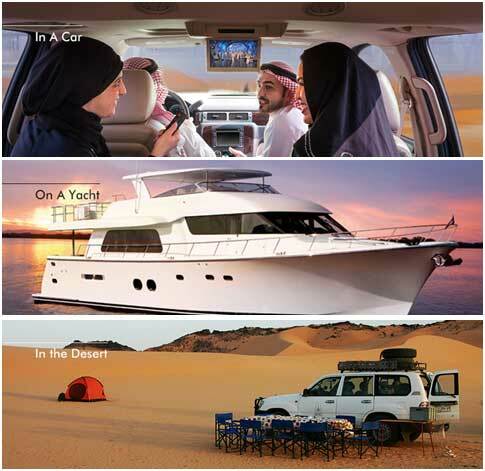 This enables this service can be enjoyed in a mobile environment, either in a car, a caravan, a yacht, etc. In this project, Sumavision provided total headend solution including IRD, Transcoder, Statistical Multiplexer, Scrambler, Modulator, CAS, EPG, etc. All the devices have 1+1 automatic backup design to ensure a high level of reliability, detailed system topology is shown below. The customer isone of the three largest DVB-T2 operators in East Africa. Not only in broadcast TV, the customer also offers service in newspaper, radio station, etc. As one of the most dynamic, energetic and innovative company in the area, the customer has played a significant and pioneering role in bridging the digital divide and connecting the nation through broadcast services and media infrastructure. 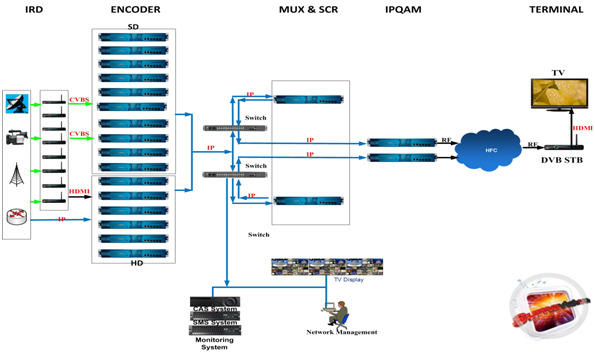 Inthisproject, Sumavision providedDVB-T2 headend system which includes Digital HD/SD Encoder, Multiplexer & Scrambler, Monitoring System, and software system including Conditional Access System, Subscriber Management System, etc. 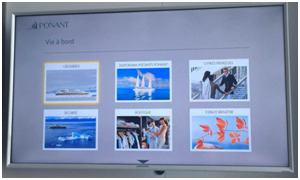 The project is the first shoot that Sumavision’s OTT system enters into luxury cruise TV entertainment industry and brings brand new user experience and great potential business opportunity to the customer---a famous French luxury cruise company. The customerowns 5 luxury cruises, among them four cruises are sister ships. 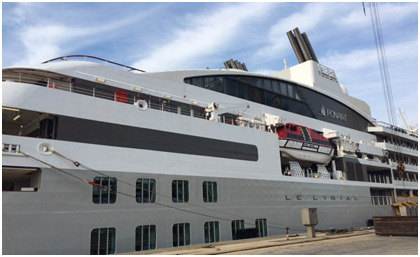 With same structure but different interior decoration theme, these cruises became the newest, the largest and the most luxurious cruises for Antarctic trip at present. 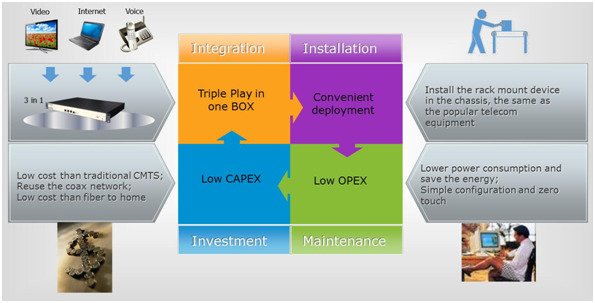 What enabled Sumavision OTT System so successful in this project? • Optimized smart client software used in this project enabled users to browse various on-trip messages including weather, map, shopping category, menu list, call service, etc. • With powerful content source and processing capacity, the system can provide 500 latest movies and hundreds of applications. • Satellite TV service with efficient time-shift mechanismcan ensure the user to enjoy live broadcast service on board whenever they want. • Reliable backup and emergent recovery scheme ensure the entertainment services always be available and reliable. • With innovative and modularized multi-controller schema, the users can enjoy TV service anywhere in their rooms via TV, tablet, smart phone, etc. • Customized emergency broadcast makes life on board more safe. 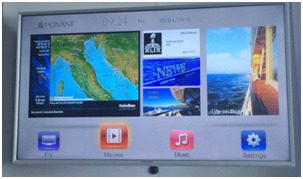 • Tourists in room can get the view outside via TV and other kinds of terminal, making the trip more interesting. Sumavision E²CMTS solution makes a full use of the resource of coaxial network and ensures possible high-broadband access to household terminals in a cost-effective way. So far, Sumavision has provided thousands of E²CMTS (CC8800D) in the USA market for hotel customers. 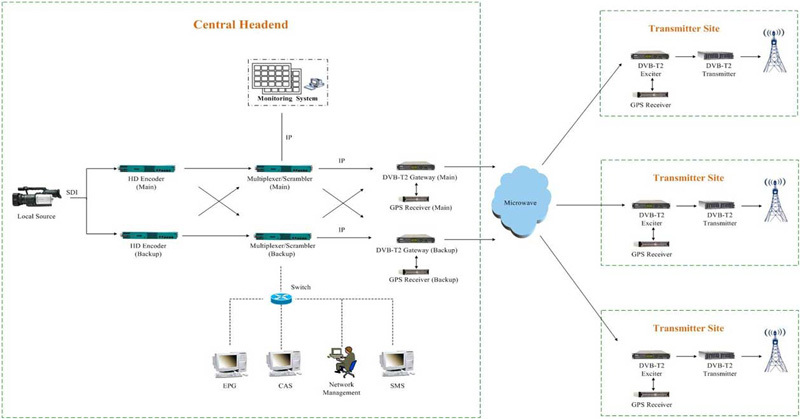 With CC8800D, hotels can provideInternet broadband service, TV service and VoIP service to their customers.